Cesar Sayoc is charged with five federal crimes for allegedly sending 13 IEDs to Democratic leaders and those who’ve criticized Trump. 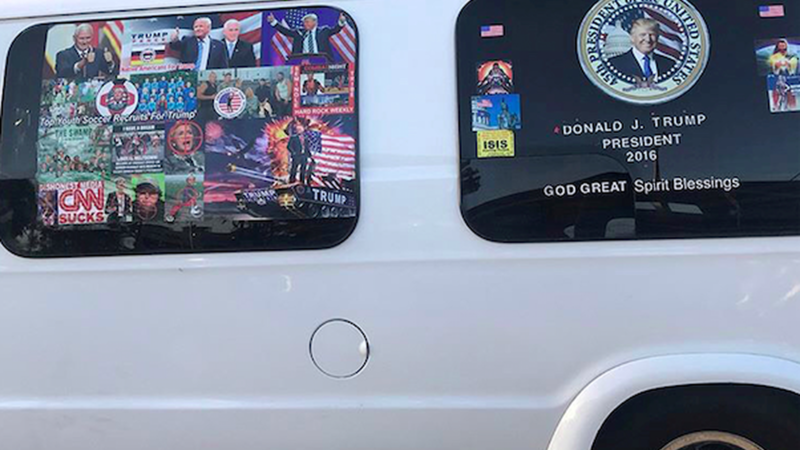 Sayoc drove a white van covered with pro-Trump stickers, and pictures of those leaders with crosshairs on them. A fingerprint and DNA cracked the case.